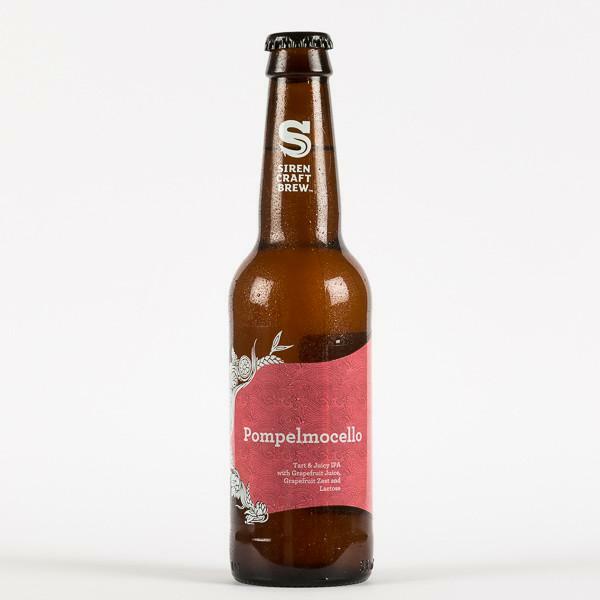 The team at Siren say their objective with Pompelmocello was to make a beer as grapefruit tasting as possible. We think they nailed it; beers just don’t come more citrusy than this. Taste: It delivers on extremes of sour and sharp, yet is so drinkable you could almost overlook the alcohol content and swap it out for a morning breakfast juice. Verdict: Interested in sour beers but don’t know where to start? Start here. Food Pairing: The sharp, sour flavours go perfectly with salty fried food. Drink it with a bag of good quality pork scratchings or crisps. Ironfire Brewing have taken their iconic 51/50 IPA and have taken it to the next level. By adding plenty of fresh grapefruit, they have created a brew that is hop heavy but still extremely crushable.An IronFire ale for outlaws. With its pungent and dank hop flavour, 51/50 IPA isn’t for those looking for a ‘balanced’ beer. Instead, this is a classic San Diego style IPA with minimal malt flavour, so the hops shine through and blow your mind. Why call it 51/50? Because they’d have to be crazy to put this amount of hops in a beer. Dedicated to “many years of admiration and friendship” between De Molen and Omnipollo, the Citra and Columbus hops make this IPA sweet hazy and bitter. Look: Amber-orange and hazy with a small white head. Aroma: Sweet and fruity; it’s bursting with pineapple, orange and zesty lemon. Taste: Boozy and robust malts with notes of pine, tropical fruit and some hoppy bitterness. Lasting sweetness in the finish. Verdict: A fitting dedication to years of friendship. Long may it continue!